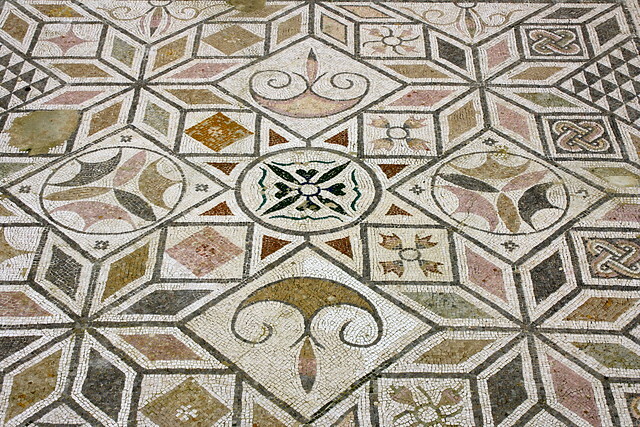 The land that we call Spain today belonged to the Roman Empire for nearly 600 years, so it shouldn’t come as a surprise that we can find countless relics dating from this time period across the country—not least the Castilian language itself, which derives from the Latin the Romans imposed on Hispania. Coming from a part of the U.S. where it’s a big deal to catch a glimpse of a truck that’s only half a century old, I naturally gravitated to places like ancient Roman ruins as I made my way from one region of Spain to another. This country has so much Roman heritage to offer—on par with Italy or France!—so read on to learn where to go in Spain for your ancient ruin fix. 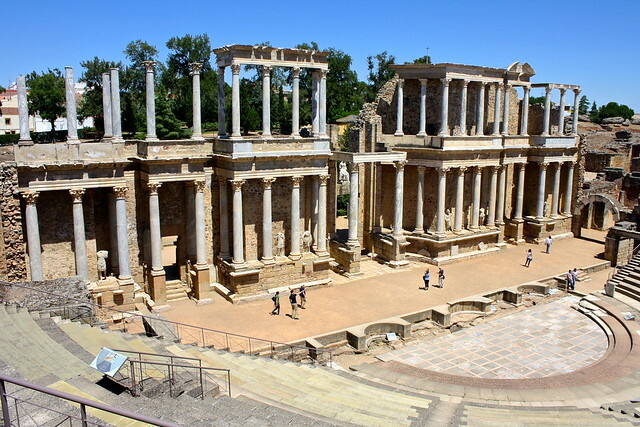 Today the capital of vast, lonely Extremadura in western Spain, Mérida was founded as a settlement of emeritus (veteran) soldiers along the Guadiana River. Emerita Augusta would become the capital of Lusitania province (which included modern-day Portugal and Extremadura) and was graced with an amphitheater, a theater, a circus “speedway” for chariot races, monumental arches, a forum, temples, a mile-long bridge, and, of course, an aqueduct, all of which you can still marvel at today, 2,000 years later. It may sound like I’m just listing things off, but there really is simply so much that has been preserved here! 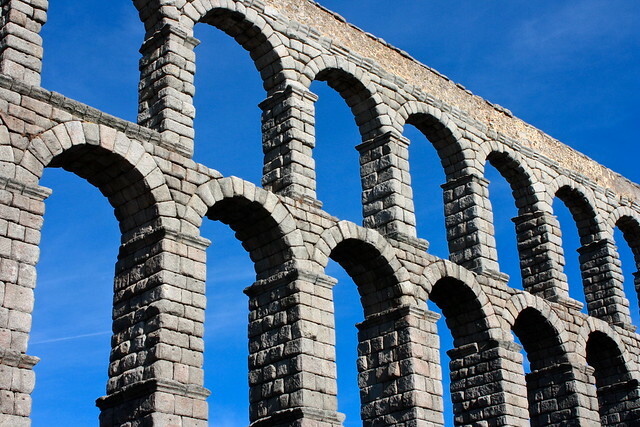 While the aqueducts that brought water to other major Roman cities in Spain like Sevilla or Toledo collapsed along with the empire in the Dark Ages, the 44 double arches that compose Segovia’s soaring aqueduct have stood strong since the year 50 CE. The colossal granite blocks are surprisingly held together without any mortar! 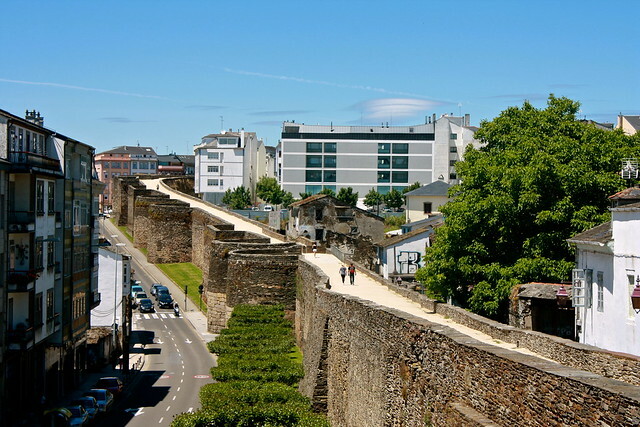 In the words of Wikipedia, “Lugo is the only city in the world to be surrounded by completely intact Roman walls.” Yep! Way out in Spain’s green, rainy northwest corner, Lugo takes its name from the old settlement of Lucus Augusti and even has a Roman reenactment festival every June…as if Spain needed an excuse to throw another party! The wall that surrounds the old town differs from the walls you might see around other European cities in that it is composed of hundreds of thousands of thin slabs of slate rather than granite or sandstone. There’s even a paved walkway on top that goes around the entire circumference, making these 2,000-year-old walls the perfect place to go for a jog. 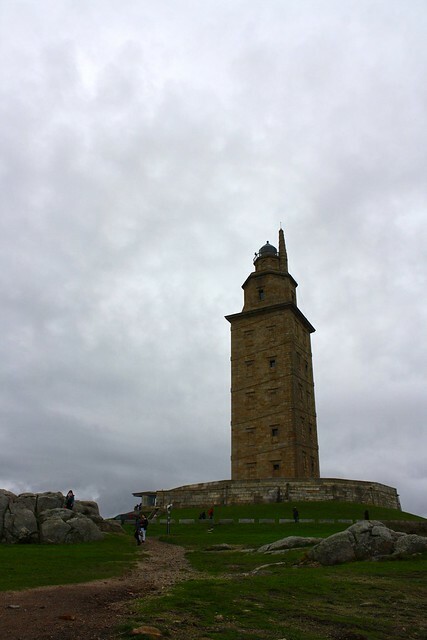 Not too far from Lugo along Spain’s northwest coast, the “Tower of Hercules” rises up on a rugged, windswept peninsula. Constructed by the Romans in the 2nd century CE, it holds the honor of being the world’s oldest (and only) Roman lighthouse still in use today. In the late 1700s, however, the lighthouse was completely restored and given a shiny new façade in the Neoclassical style, so what we see today from the outside is not what it would have looked like in Roman times. But when you go up inside the tower to visit, you still get to marvel at Roman engineering: heavy masonry blocks that have endured nearly two millennia of invasions and earthquakes and interior arches that have buttressed the lighthouse from collapse. 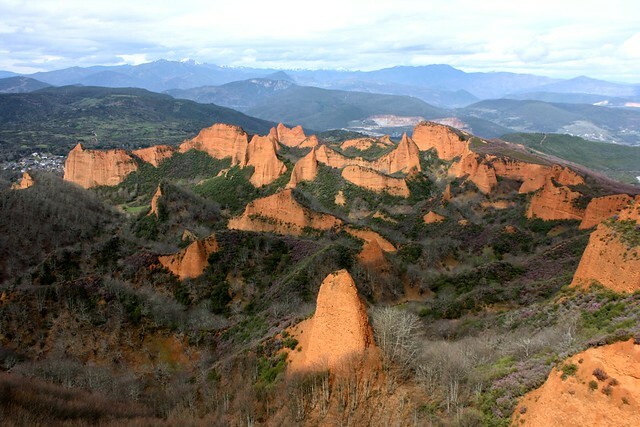 Perhaps the most unique Roman ruins in Spain, Las Médulas are actually what remains of an old Roman gold mine in the mountainous northwest. Using an ingenious water pressure-based method to blast away whole mountainsides, Roman engineers managed to extract 1.6 million kg of gold ore over 250 years, leaving stark orange cliffsides behind. A short bus ride away from the southern metropolis of Sevilla lie the ruins of Itálica, the first Roman settlement in Spain. Although quickly overshadowed by nearby Hispalis (Sevilla), Itálica was the hometown for two of Rome’s most significant emperors, Trajan and Hadrian. Little is left of this abandoned town, though, apart from some paved roads, a few mosaics, and a full-size amphitheater whose “playing field” you can wander out onto. Strategically located around a large natural harbor, Cartagena has been a major port city on the Mediterranean Sea ever since it was christened “New” Carthage 22 centuries ago. It’s been continuously inhabited (and fought over) ever since and today is where the Spanish Navy is primarily stationed. 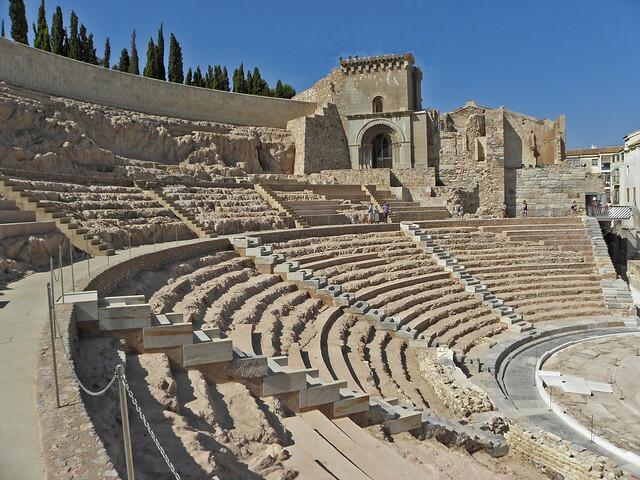 Because of Cartagena’s rich history, with one empire taking the reins after another, not much is left from Roman Carthago Nova—not much, except the second-biggest Roman theater in the country. 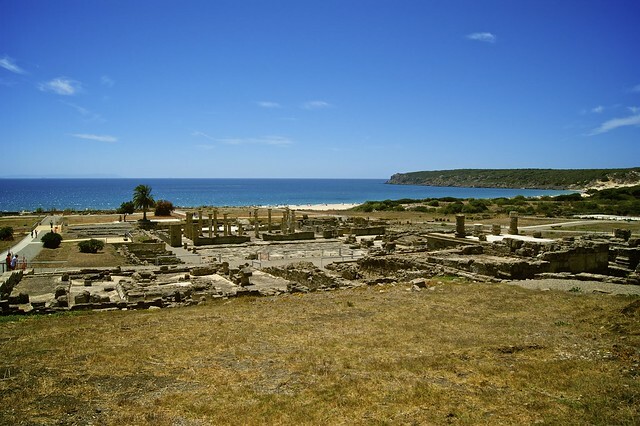 If you headed west through the Strait of Gibraltar in Roman times, on your left would have been the town of Tingis on the northern coast of Africa (modern Tangier), and on your right, facing Tingis, would have been Baelo Claudia, a trading outpost and center for production of garum, the fish paste Romans put on everything like we do ketchup. It thrived at the height of the Roman Empire but was abandoned after an earthquake. Today, many columns from the basilica or assembly hall have been put back together, and its oceanside setting is striking. Contemporary Zaragoza is the powerhouse of inland Spain, and today is home to over half the population of the region of Aragón. Even in Roman times it was the major settlement along the Ebro River, and enjoyed the privilege of being named after the Roman emperor himself, Caesar Augustus. It’s hard to believe but the name “Zaragoza” actually derives from Colonia Caesaraugusta. 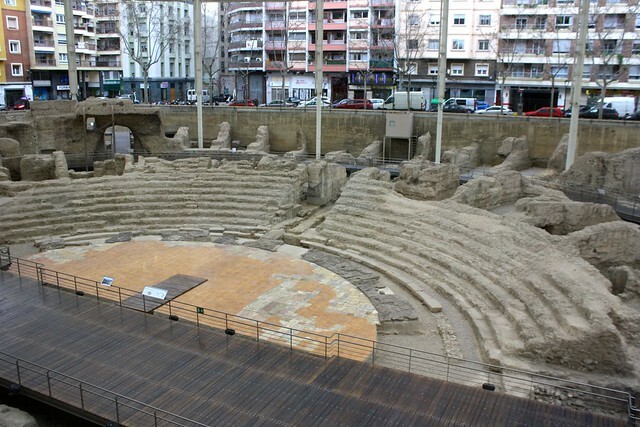 In recent decades, the maños have done a lot of work uncovering their city’s Roman heritage, from a sewer tunnel that ran beneath the forum to the docks for the river port, but the main star is an excavated theater that long hid beneath decrepit apartment blocks and at one point in Zaragoza’s history was home to the Jewish quarter. 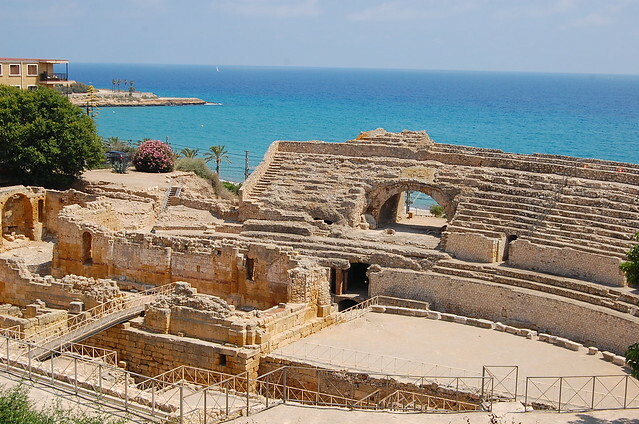 What are your favorite Roman ruins in Spain, and which would you most like to visit next? Tell me below in the comments section!